Today I’m appreciating my friend Jennifer Ray. Last fall Jennifer suggested I wash my windows with “E-Cloth”. This weekend I finally did that. Holy smokes what a liberating product. Fast, easy and sparking clean with no streaks. No more saying “well; the windows look better than they looked before; kind of..”. The windows are perfectly clean. I even cleaned the light fixture over the kitchen table. It was such a feeling of satisfaction, I’m considering starting my own window washing business. I highly recommend E-Cloth. You don’t use Windex or vinegar; no paper towels or newspaper. Just hot water, a wet e-cloth washing cloth and a dry e-cloth for buffing. Done. Look at this photo of my kitchen window. 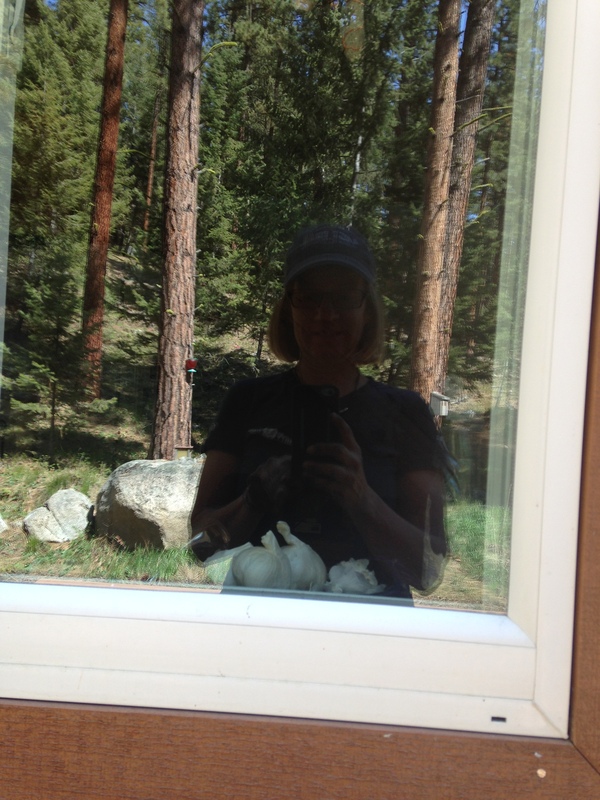 You can see the garlic on the inside of the window and the reflection of the front yard clearly in the clean window. I’m starting to sound like that infomercial guy; but I’m telling you this as a friend and possibly loosing business in my new window washing career; buy the e-cloth window cleaning 2 pack. It’s $13.85 on Amazon. I was also appreciating the warm sunny days of this weekend which brings me to the subject of this post, appreciation. Do you have to not have something to appreciate it when you do have it? For example. Do I need a cold Montana winter to appreciate a beautiful sunny day in April? Do I need to have lived in three cold houses to appreciate the warm house I live in now? Do I need to have hand split cords of wood every winter to appreciate the neatly stacked and cut wood that is always available to me now? Do I need five days a month of an horrific headache to appreciate every single day that I wake up pain free? I could go on and on. When do you stop appreciating and start expecting. I hope never. But it happens. Hannah and Meg worked in a place that provided fresh fruit in the break room every day. Everyone appreciated this perk in their office. I asked Hannah what would happen if the fruit buying person forgot one day and there was no fruit in the break room. Oh, they’d be pissed; she said. When do we go from appreciation to being pissed? When do we go from being happy to have a job to “….if I don’t get at least a 5% raise this year I’m out of here.” ? When and why do we cross that line? The hard part then would be to find the things we should appreciate but don’t. If you have to have not had something to appreciate it when you do have it; then what about the things you’ve always had. Do you remember to appreciate those things? How would you know? I’ve always had food in the house. Except for that one time where I was close to not having food in the house and was un-robbed. An anonymous person or persons broke into my house and filled my pantry and refrigerator with food. I did appreciate the food so that’s not a good example. Here’s a better example. I have a mud room full of shoes and boots for every sport for every season. When I went to Belize we had to have closed toed shoes for caving and I took an old pair of slick bottomed, paint covered running shoes with the intention of throwing the old wet shoes away once we were done. After changing into dry clothes and looking for a trash can for my shoes I had to ask our guide where I could throw them away. “…oh, I’ll take those; there will be someone in my village that can wear them”. Appreciation. Not only do I appreciate the mud room full of boots and shoes now, I plan on shipping several of them to Belize for Juan Carlos to take back to his village. Shoes that are not slick bottomed and paint covered. 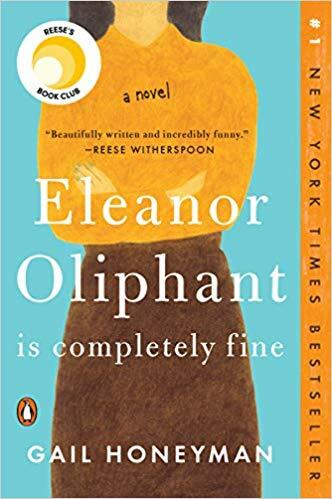 That was a great book. I read that one before the book club blog started. That’s was inspirational! I appreciate you reminding me to appreciate.